PRICE REDUCED! 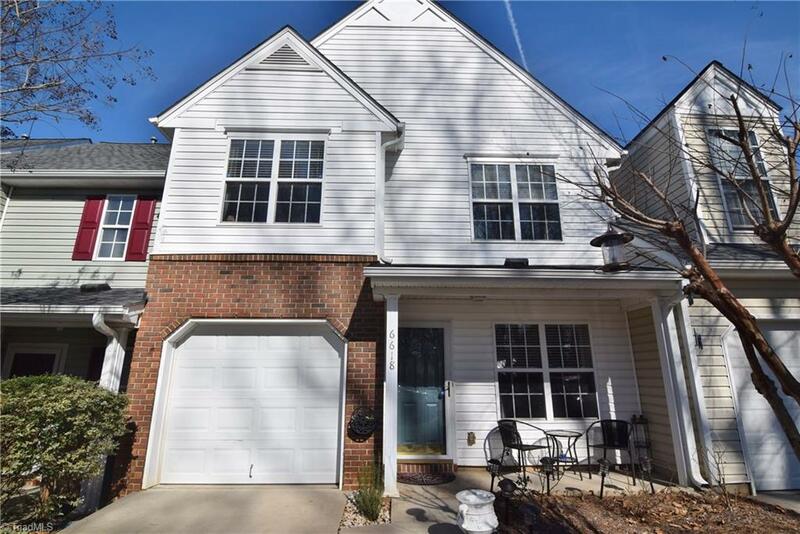 A modern 3 bed and 2.5 bath townhome in the Coble Farm with an attached garage. NEW laminate floors. NEW 2017 HVAC. Recent roof. Open concept living space. Kitchen with plenty of storage and stainless steel appliances. Two story great room has plenty of natural light. Vaulted ceilings in master bedroom. Walk in closet. Dual vanities in master bathroom. Relax in your privacy fenced patio. HOA dues pay for water, sewer. Enjoy the community pool and walking trails. Easy commute! Listing information © 2019 Triad MLS, Inc. All rights reserved. Listing provided courtesy of Greatnest. Information deemed reliable but not guaranteed.